On this first week of the New Year, I thought it would be nice to wrap things up with a little bit of summation of how the year went and what was trending here at the blog. 🙂 Won’t you join me for a little peek into what went on behind the scenes and what ended up being your favorite loomy things throughout the year of 2011? Most purchased Peggin’ Pages Pattern at Artfire: Bethany’s Booties! 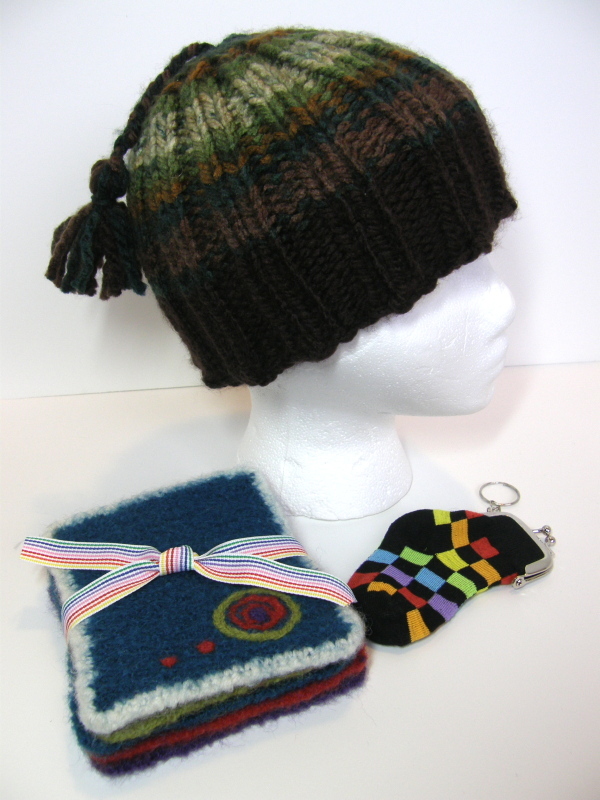 Tied for the second highest purchased Pattern at Artfire: ‘lil Tykies & Chunky Slipper Socks! Most frequent commenters at the site: Jolene Utterback Torgler (57!!! ), Jenny Stark (26! ), Jeannette Pirkle (23! ), Linda Jones and Kelly Jones are tied for fourth place (15!). Thank you so much to all of you for your extra support and encouragement over 2011… I can’t tell you how much it has meant to me in the day-to-day struggles over laziness vs. writing on the bloggie, lol! You are all so dear to my . You read about our field trip to the Madrona Fiber Festival and my eldest daughter, Emily’s first introduction to spinning. 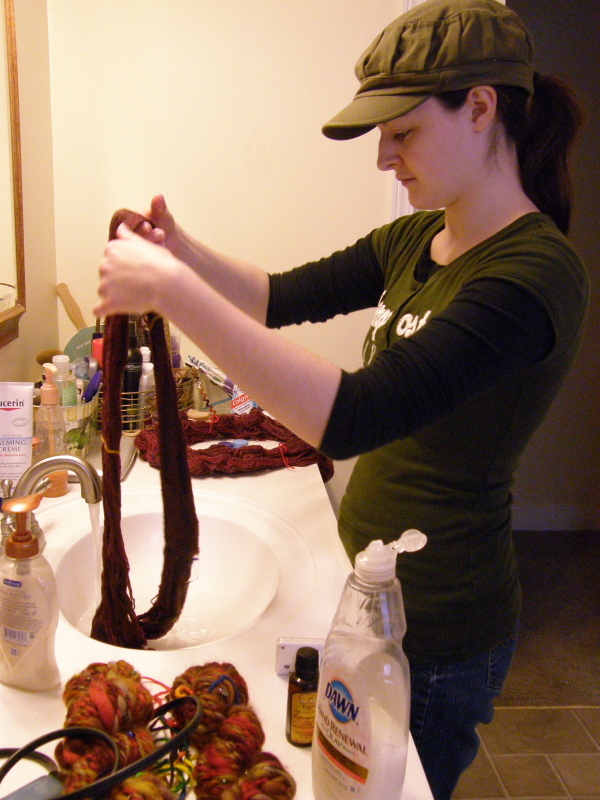 She has gone on to spin all kinds of different types of yarns, as well as trying her hand at dying them! 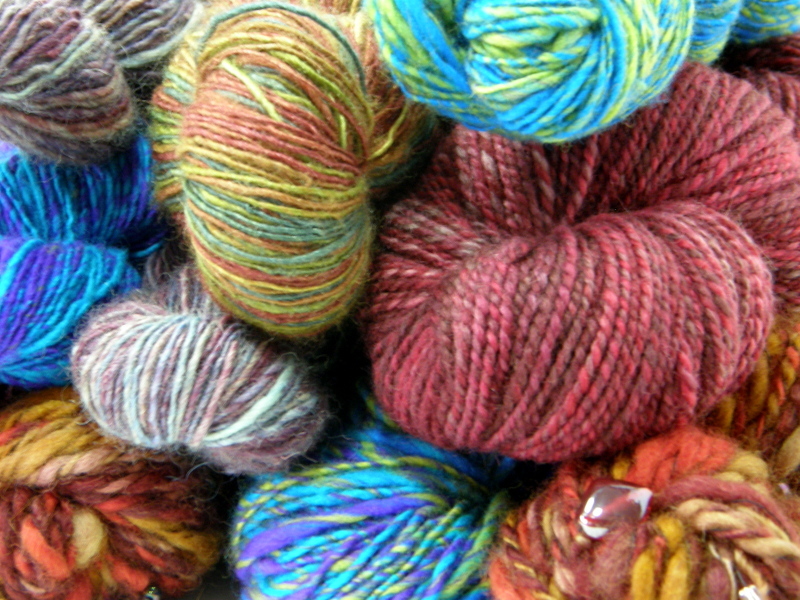 She even started her own Etsy shop, TidBit Yarns! You sent cyber hugs our way when we lost our kitty, Gus, after having him as part of our family for 14 years. You once again sent condolences after our Chester-Bunny of 8 years, followed our Gus so he wouldn’t be lonely. You waited with bated breath (lol!) 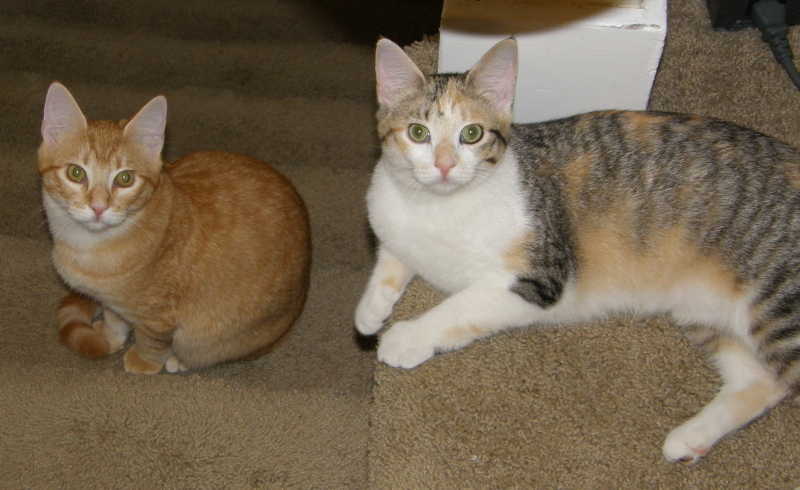 over our pain and series of antibiotics troubles with finding just the right kitty to join our family, and then gave us congratulations and celebrated with us over the addition of the official two new members of our family, kitty siblings adopted from the Humane Society: Penelope & Xander. You got to see my youngest daughter, Megan’s talent be introduced for the first time on the world wide web… her Dailey Occurrences comic strips have been a big part of her life over the last couple of years. 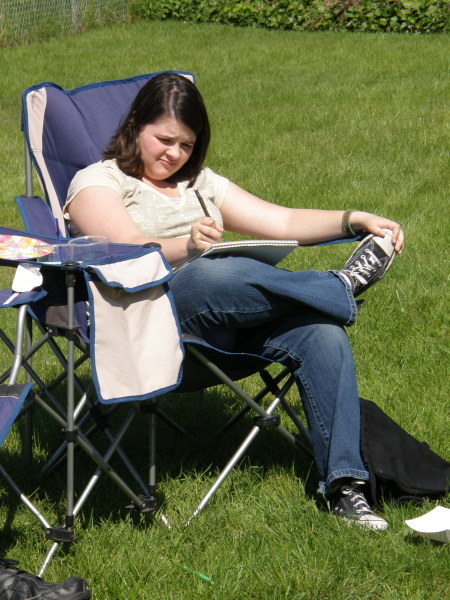 She has really be working hard to improve her art and ability to bring humor to life through them. I believe she is gearing towards her own online comic book site! 🙂 Too Cool! 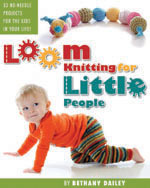 You walked with me, lent your ears and support during the efforts of designing, writing, editing, more writing, more editing, and finally releasing the book, Loom Knitting for Little People! From the first announcement of it’s theme, why I loom the way I do, the grand opening of the official Kickstarter Book Launch, the introduction of the involvement of KidKnits in the book, a little chat with me via video about the participation prizes and some of my favorite projects, to the final announcement that the book launch goal had been met! You waited patiently for your books and prizes to be delivered, despite the few little mishaps along the way. Thank you so much for looking through the past twelve months with me. Boy, were they full! I can’t believe all those extra things were created while still knitting the projects for, writing and publishing a BOOK! This completely and absolutely amazes me! It took me looking back to see just how much was actually accomplished, and boy does it feel great! I am so privileged and honored to have walked the last year’s very full days right alongside all of you. You make me feel very hopeful going into 2012…hopeful that we can be inspired do even more to help others through our loom knitting craft, as well as bless those around us with love in every stitch. This entry was posted in Blogging, Book Progress, Charitable Donations, Crafting, Dailey Occurrances, Dailey Occurrences, Family Fun, Gettinitpegged Gear, Goals, Holidays, Kids Crafting, Life, Loom Knitter's Chat Clique, Loom Knitting, Loom Knitting for Little People, Looming Patterns, My Favorites, Peggin' Pages, Pets, Reminiscing and tagged Dailey Occurrences. Bookmark the permalink. That’s great that you were able to raise so much! That’s something to truly be proud of! Congrats on another full, great year. Bethany, have really enjoyed watching this happen this last year. Although I haven’t gotten them finished, I have started several things from your book. Looking forward to many new things in the coming year. Bethany, this year end review was excellent. We all forget everything that goes on in a year. With your blog and book you can go back and see the fruits of your labor. It was awesome to be able to receive your book but also help these worthy causes. The yarn purchase for the families all the way to just getting all the patterns you made up. That is wonderful that there were even more donations to the orphans too. Love all the pictures of all the fun from 2011, We tend to say negative things of the passing year when much of it was wonderful. Thank you for all you did. ps: I still hope to find out when the sockapaloosa is in July in Portland. I would love to visit my son by then and to meet you in person. If you find out before me, let me know so I can register and get plane tickets. Bethany, it sounds like you’ve had a very successful year. I know I’m glad I found your site. Downloaded a couple freebies and yesterday purchased the cable purse pattern. Wishing even greater success this year! Bethany, you rocked the year, you gave great reads, you kept everyone connected on your many places you pop into! And were ALWAYS totally fun to read! Love and hugs to you, thank you for a killer fun group with no pressure, that I was avid to check out whenever I saw a post, digest, or had a free moment!All the hard work and and grab-at-life personality comes thru every time. May this be another ‘One-heck-of a wonderful year!’ for you and all connected to you! Wow Bethany – what an interesting read. Thanks for the post! I am so thankful to have found you and your loom knitting group. Even though I found you well after your book was published, I still feel like part of the ‘family’ you have created here. I’m always busy with my looms, and this year I want to be sure to find the time to post the pictures of the projects I’ve done or am doing. I do have a blog where I post my paper crafts daily, but on the right you can see a label for Knifty Knitter and Loom Knitting. I do have a few pictures posted there too. I received 2 looms for Christmas, from DA Looms. The Baby Afghan loom in regular gauge, and the Infinity Loom (for one sided knitting — is that a loom or a rake?). Anyhow, now I have my eyes on a KISS loom, but there are so many different ones to choose from I am going to wait until Spring. Then I feel like I will have enough different ‘gauges’ to tackle some different projects as well as the zillion hats, scarves and scarfletts I’ve been working on. Wow, lots of things through last year….and then I see the pic of the little tool pouch….which is mine!!!! Ha! I loved winning that, I never had won anything, so that made my….well, my year! Thanks for such a fantastic blog and book, I might add, keep up the amazing work, please!! !